iZook Guru's Ultimate Project Build Off - Truck One March Update - Panic In The Garage! This month it is Larry's turn to get to work. As you know we are installing the Petroworks dash and VDO gauges. 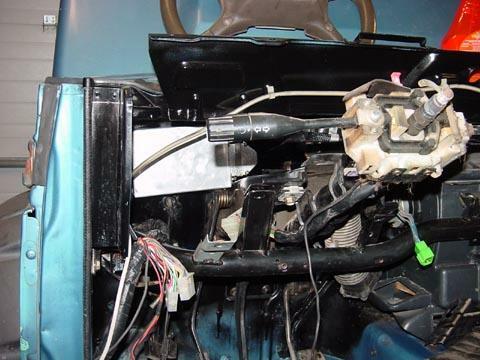 To top that off he decided to add a home built fuel injection system. So far he has the computer for the FI built and installed. The wiring harness has been modified and mostly in place. There are still a lot of wires hanging out from under the dash? Since his day job is custom heating and cooling controls he can do all the wire pulling and modifications. Greetings everyone, Terrina has put me to work on the project truck this month. I will start right off and say if you are going to go to a stock fuel injection from a newer truck let someone else do the harness! Here is the plan. 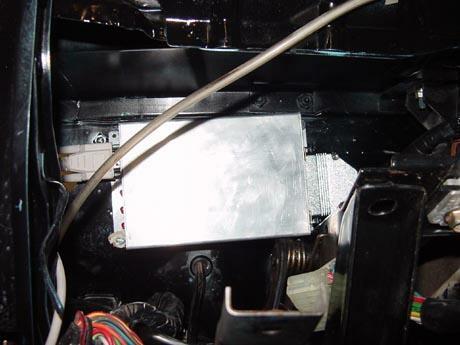 Install the MegaSquirt fuel injection computer and relay pack under the dash. 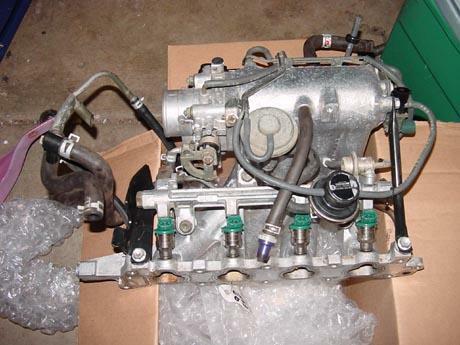 Pull the supercharger, take the manifold to the machine shop and have it cut to accept port injection. Could go with TBI but I like the benefits of port injection. So I build the computer from kit form. 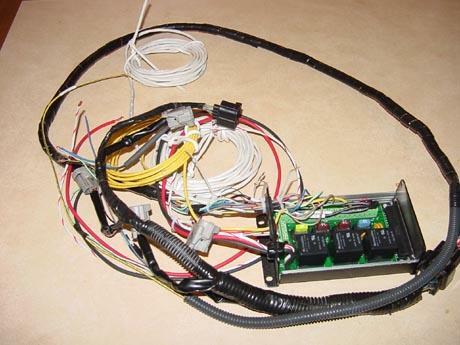 Build a wiring harness to fit into the stock Suzuki engine harness. Modify the under dash harness to work with the new VDO gauges. Here to tell you it is a PITA! Pull the supercharger and take the intake to the machine shop, been there for a month now and they have not touched it. Need them to weld a bit of metal on the intake runners that can be machined to take the injectors. The cast metal of the manifold is too thin in spots to allow me to cut the boss for the injector in to the manifold directly. Also need them to make an adapter to allow the 1.6L throttle body to fit were the Weber used to sit. All in the quest for "More Power". How does it look under your dash? So it is the end of a long day and I want to test the new harness. 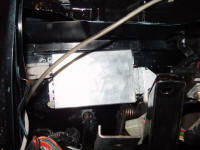 Most of it is in place under the dash, all that is missing is the FI section. Take the new ignition switch that was required by the dash install. Plug it in and turn the key. &$#@. High beam comes on? Pull the switch recheck all my connections, they are ok. Get the meter out and am looking for voltage in the correct place. By this time I am doubting all my wiring, is it in the right place? After a little work with the meter I find the heater motor runs great on the ignition switch but the engine only has one speed? I am tired, it is Terrina's turn to go back to work!